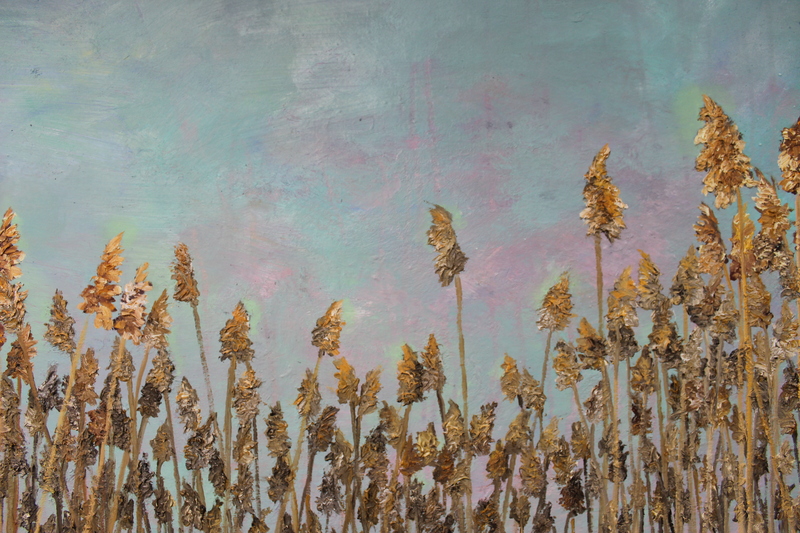 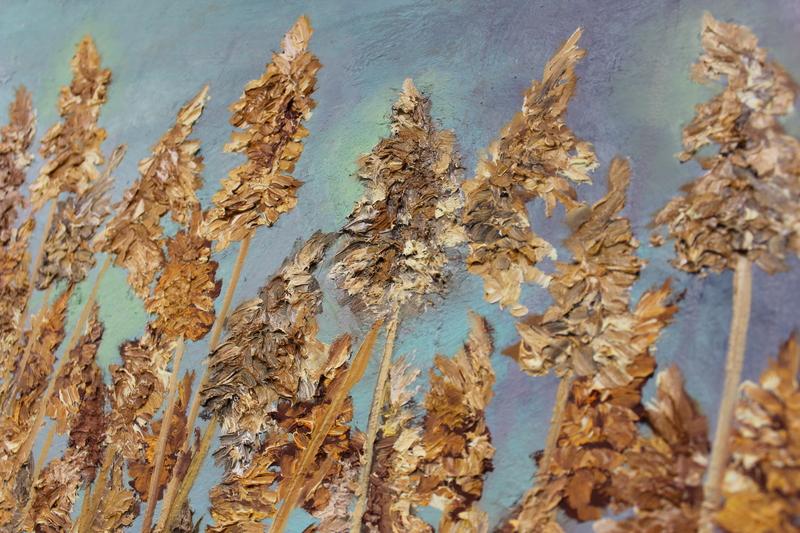 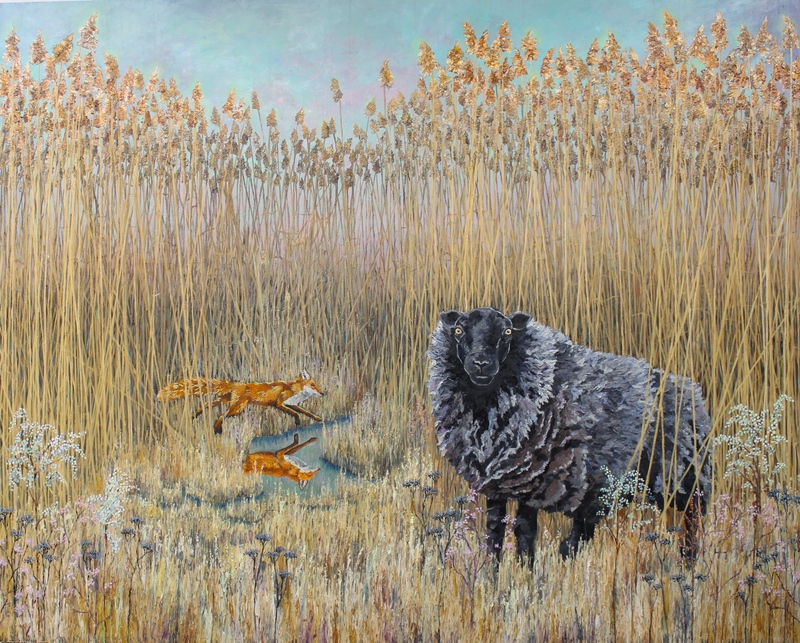 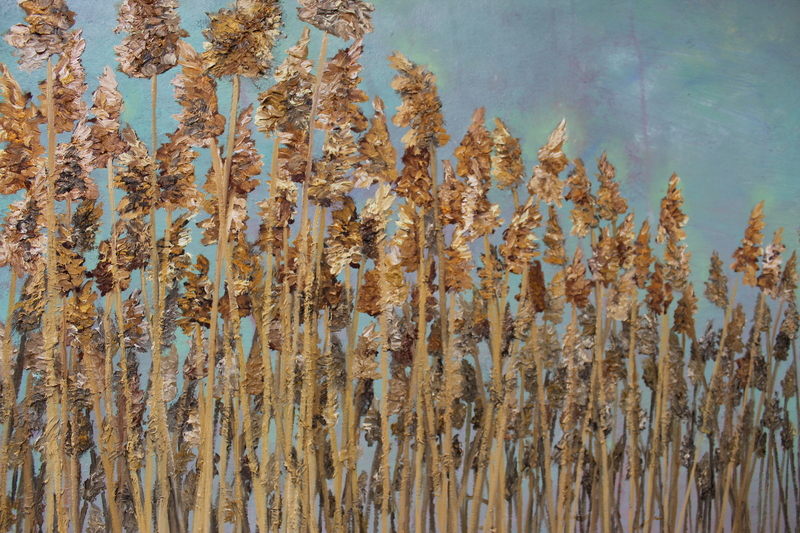 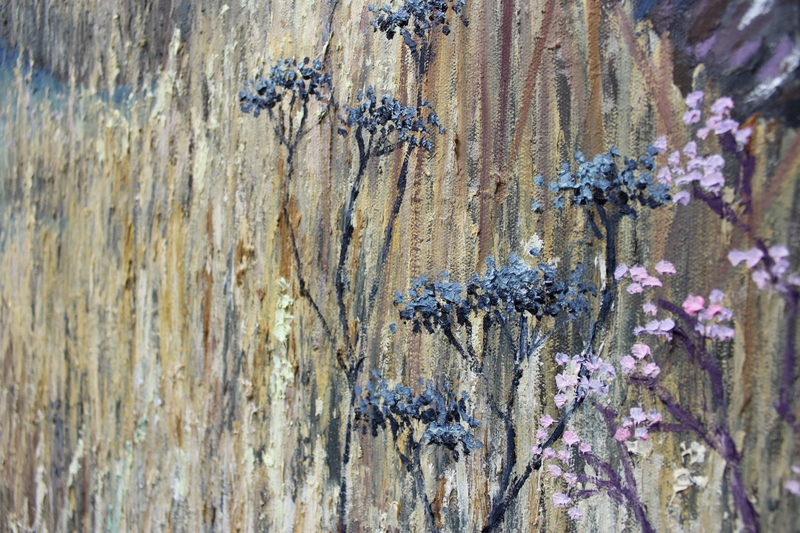 Between the Reeds was painted on private commission – the painting is a portrait of two people as animals. 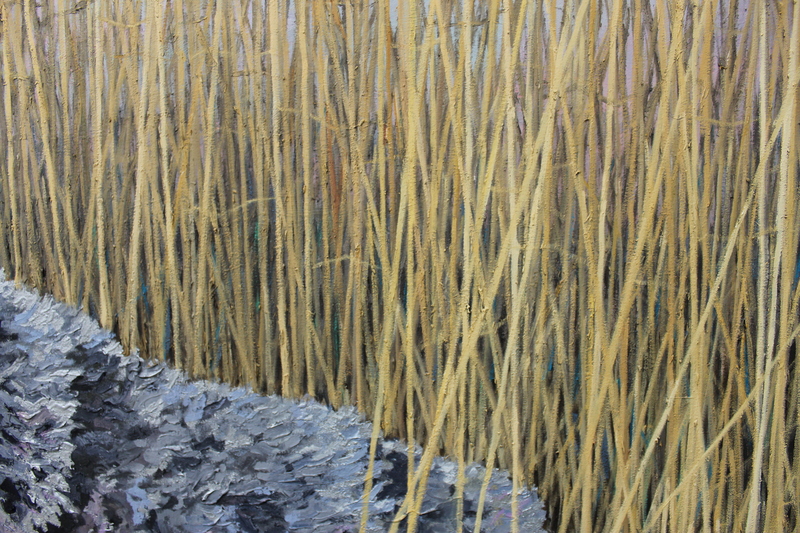 The animals of this painting exist in a space that is beyond identity – a vision of what will forever be unknowable, unverifiable, and silent in our everyday world. 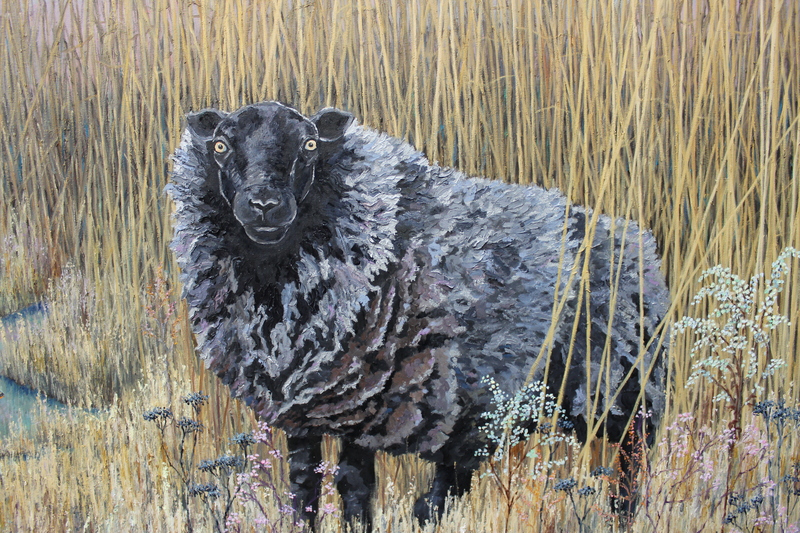 And yet, the energy and force of the animal is somehow always there, rumbling beneath the surface of things, between the threads of reality, composed and whole when human life is frenzied and fragmented. 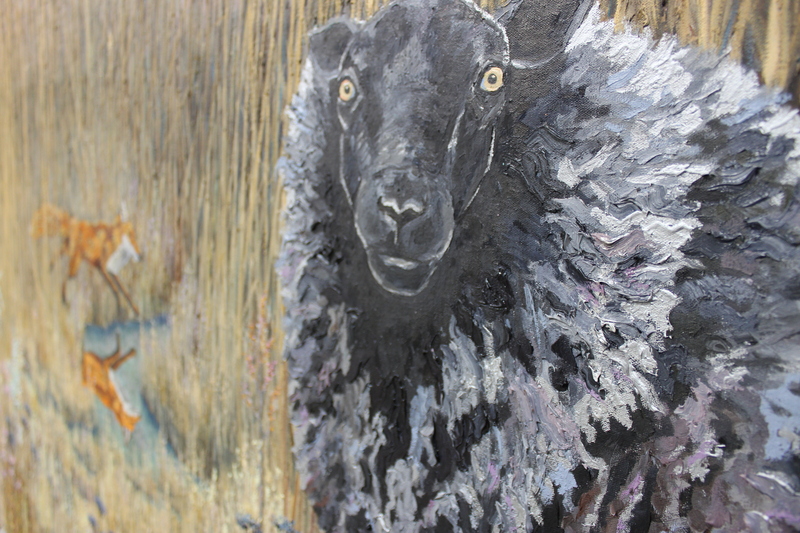 The gaze of the sheep follows the viewer – from any angle the sheep appears to be looking at you. 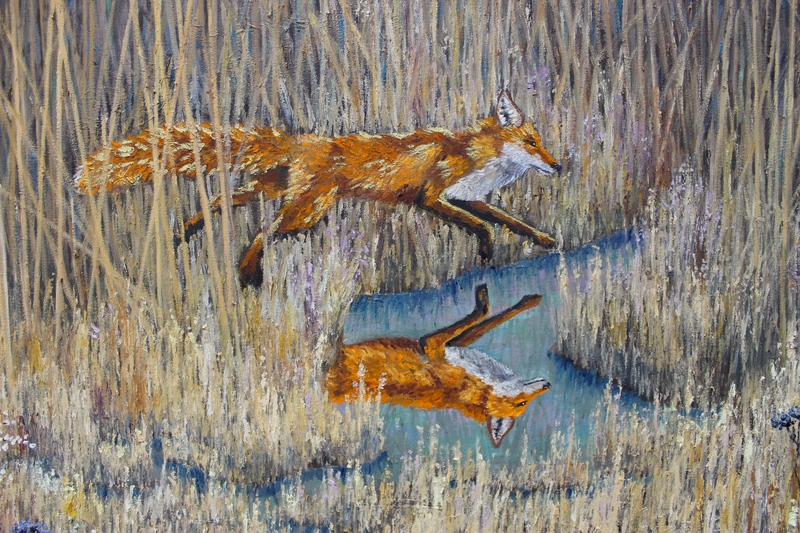 There is reflective silver paint in the sheep’s wool, and shiny gold paint in the fox’s fur.